After hearing the weather predictions for this week, we never expected such a glorious day with sunshine and bright blue skies for Valentine’s Day. 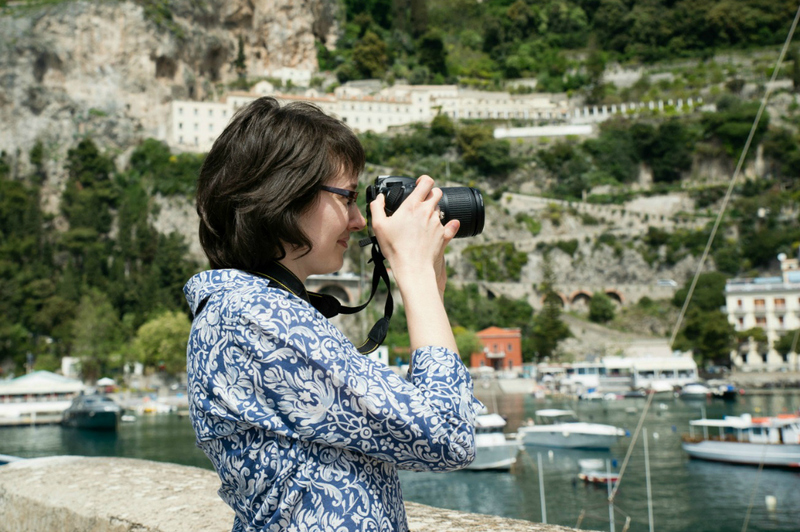 What a pleasant surprise … the perfect setting for love! 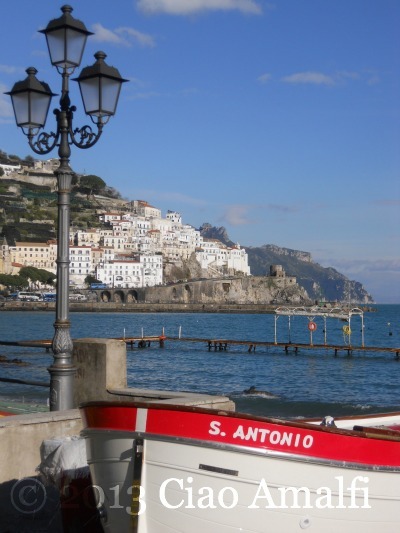 After lunch in Amalfi we were strolling along the port and I recalled an email a reader sent me last week about the best places to propose on the Amalfi Coast. It made me smile to think that somewhere along the coastline with this beautiful sunshine he was proposing to his girlfriend. I hope she said yes! This boat should be called the S. Valentino! Wishing you a very special day however you may be celebrating or not celebrating. Sunshine and warmth in the winter are always reasons to celebrate! 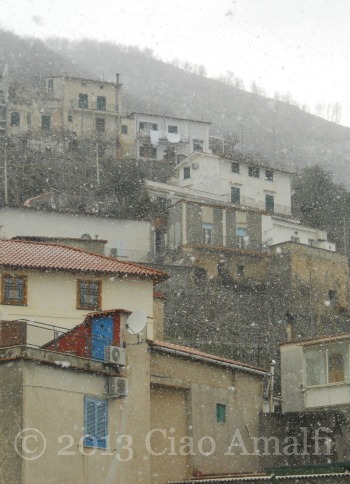 With just a few days left before Lasagna Eating Day … er, I mean … Carnevale, the temperatures have dropped and snow has arrived at high elevations on the Amalfi Coast. It snows so rarely here that it’s often a welcome surprise. This morning while we were having breakfast I noticed the snowflakes starting to fall outside. Is there anything better than being home, warm and enjoying a cup of tea and the newspaper while watching the snowflakes fall? They didn’t fall for long and the sunshine quickly melted the teeny bit of accumulation, but it was a happy sight while it lasted. 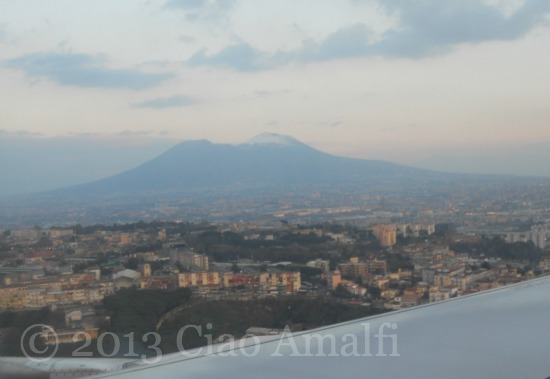 Since it’s hard to capture the fleeting magic of snowflakes out the window, I’ll leave you with the image that welcomed us back to Naples yesterday evening. The snow atop Mt. Vesuvius was the first sign that the temperatures had dropped while we were away last week. The weather is cold and we have to bundle up inside and out, but I’ve been enjoying these rare glimpses of winter’s beauty the last few days. Wishing everyone who is dealing with blizzards in America and big snow in Italy to stay safe and warm! The limoncello and mandarinello are ready! 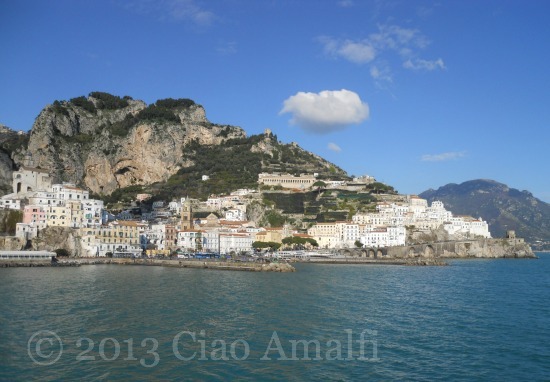 We picked mandarins and lemons in Amalfi last month, and the rinds have been infusing in pure alcohol since then. It’s longer than usual for the recipe from the Mamma Agata Cookbook that I use, but I simply kept forgetting to finish them off! The final result was tasty either way, but we still have to do the taste test comparison to last year’s batch. We picked lemons that were just turning yellow and were still a bit green, and the color of the limoncello (on the left) is ever so slightly green. The rinds of the lemons are at their most aromatic when they are still just a bit green. We picked the mandarins later this year than usual, so the color of the mandarinello doesn’t seem quite as intense as last year. But the flavor is still divine! 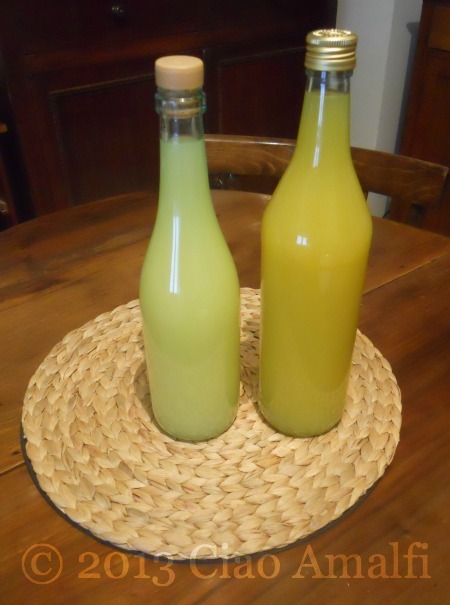 Do you make limoncello or other liqueurs at home? Limoncello is super simple, and only takes about a week to make. Although some recipes call for infusing the rinds for much longer, even up to 40 days as Cherrye from My Bella Vita has found out in Calabria! If you make limoncello at home, how long do you let the rinds infuse? Would love to hear!